This notice describes how personal information and health information (PHI) about you may be used, how it may be disclosed and how you can obtain access to this information. This page will serve as a summary of your privacy rights. The law (45 CFR Part 160 and Part 164, Subparts A and E) requires that your PHI be kept private. We must give you this Notice about our privacy practices and follow the terms of this Notice while it is in effect. Your use of TelaCare Health Solutions, LLC's Services indicates your acceptance of the terms of this Notice. TelaCare Health Solutions, LLC is engaged in the business of providing internet healthcare resources to connect individuals with physicians, licensed therapists and other licensed healthcare practitioners in real time, via live streaming video, telephone and/or secure e-mail for the diagnosis and treatment of patients over the Internet, as well as providing other types of administrative services (the "Services"). In order to use the Services, you are asked to enter an e-mail address and password, which we refer to as your TelaCare Health Solutions, LLC ID or credentials. After you create your ID, you can use the same credentials to log in to TelaCare Health Solutions, LLC's website and utilize the Services. This log in process will allow you to manage your account, it will allow you to search physicians, make appointments, attend appointments, etc. The first time you log in to TelaCare Health Solutions, LLC's website to utilize the Services, you will be asked to create an account also known as your profile. To create an account, you must provide personal information such as name, address, telephone number, date of birth, e-mail address, gender, and other pertinent data that will be available for you to share with your Provider. TelaCare Health Solutions, LLC creates a record of the care and services you receive. Some examples of the information collected or created through this process are video and/or audio files associated with all consultations, electronic medical records that may be uploaded or created as a result of treatment, and medical test results. For certain services, such as for subscription, health sessions and monitoring services, we will collect credit card or billing/payment account information which we maintain in encrypted form on secure servers. Information You Give Us - Examples of the types of information you may provide us include measurements, such as weight, blood pressure or glucose levels, lab results, medications, health history, and other health or PHI, such as prescription information. Information Accessed through Third-Party Data Services - When you use our Services, we may access health-related information about you that is stored with third party-data services such as Microsoft HealthVault or Google Health, and such information will subsequently be available to us. Third-Party Information - Health-related information about you received from third-parties (such as nurses, doctors or family members) as well as personally identifiable and other health-related information you provide specifically related to family members who may be utilizing the Services under your account. Demographic Information, such as age, education, gender, Social Security Number and Zip Code. TelaCare Health Solutions, LLC may gather PHI primarily to share with Providers for the purposes of diagnosis, treatment, and health care operations. However, in limited circumstances TelaCare Health Solutions, LLC may use de-identified, non-personal information for statistical analysis, improvement of the Services, and customization of web design and content layout. For Treatment. TelaCare Health Solutions, LLC may use or disclose your PHI to facilitate treatment or the provision of health care services to a Provider for purposes of a consultation or in connection with the provision of follow-up treatment. TelaCare Health Solutions, LLC may share your PHI with doctors, nurses, technicians, students or other TelaCare Health Solutions, LLC workers. For example, departments may share your PHI to plan your care. This may include prescriptions, lab work, and x-rays. TelaCare Health Solutions, LLC may share your PHI with people not at TelaCare Health Solutions, LLC including, but not limited to, referring physicians and home health care nurses who are treating you or providing follow-up care. For Payment. TelaCare Health Solutions, LLC may use and disclose your PHI with others who help pay for your care such as health insurers or health plans in connection with the processing and payments of claims and other charges. For Health Care Operations. TelaCare Health Solutions, LLC may use and disclose your PHI for its health care operations. These uses and disclosures help us run our programs and make sure TelaCare Health Solutions, LLC's patients receive quality care. For example, TelaCare Health Solutions, LLC may use PHI to review the treatment and provision services. TelaCare Health Solutions, LLC may use PHI to measure the performance of its staff and how they care for you. TelaCare Health Solutions, LLC may share PHI with third parties who TelaCare Health Solutions, LLC engages to provide various services for TelaCare Health Solutions, LLC and you such as doctors, nurses, technicians, students, and other health care workers for educational purposes. If any such third party requires access to your PHI in order to perform the agreed upon services, TelaCare Health Solutions, LLC will require that third party be bound to the terms outlined in this Privacy Notice. Business Associates. TelaCare Health Solutions, LLC may contract with outside businesses to provide some services. For example, TelaCare Health Solutions, LLC may use the services of transcription, laboratories or collection agencies. Each contracted party must enter into a Business Associate agreement with TelaCare Health Solutions, LLC, which requires said third party businesses to protect PHI that is shared with them in accordance with the restrictions outlined in this Privacy Notice. Furthermore, PHI will only be provided to third party businesses for the limited scope of performing required services to help facilitate treatment, payment, and health care operations to you. For Appointment Reminders. TelaCare Health Solutions, LLC may contact you to remind you about your appointment for medical care. Treatment Alternatives. TelaCare Health Solutions, LLC may use and disclose PHI to tell you about different types of treatment available to you. TelaCare Health Solutions, LLC may use and share PHI to tell you about other benefits and services related to your health. Authorization. TelaCare Health Solutions, LLC is permitted to use and disclose your PHI upon your written authorization, submitted on our form which will be provided to you upon request, to the extent that such use or disclosure is consistent with your authorization. Your written authorization is required for the release of any psychotherapy notes, marketing to you of any products or services not related to you care or treatment, or the sale of any information that is not de-identified. Please note that you may revoke or limit any such authorization at any time. TelaCare Health Solutions, LLC cannot take back any disclosures we have already made with your permission. TelaCare Health Solutions, LLC is required to keep records of the care that we provided to you. Be assured that any uses or disclosures not described in this notice will require your written authorization. People Involved In Your Care. With your permission, TelaCare Health Solutions, LLC may share your PHI with a family member or friend who helps with your medical care. We may share your PHI with a group helping with disaster relief efforts. We do this so your family can be told about your location and condition. If you are not present or able to say no, we may use our judgment to decide if sharing your PHI is in your best interest. Research. In support of telemedicine and ehealth initiatives, TelaCare Health Solutions, LLC may use and disclose your PHI for research. TelaCare Health Solutions, LLC will only use and disclose information for research if TelaCare Health Solutions, LLC receives your written consent, or if a review committee that meets Federal standards says TelaCare Health Solutions, LLC does not need your consent. Genetic Information. TelaCare Health Solutions, LLC does not collect or use genetic information. TelaCare Health Solutions, LLC does not use genetic information for underwriting and related purposes. Fundraising Activities. TelaCare Health Solutions, LLC will not disclose your individual PHI for fundraising activities without your written authorization. As Required By Law. TelaCare Health Solutions, LLC may use and disclose your PHI when required to do so by federal, state or local law. To Prevent A Serious Threat To Health Or Safety. TelaCare Health Solutions, LLC may use and disclose your PHI to prevent a serious threat to your health and safety and that of others. TelaCare Health Solutions, LLC will only disclose your PHI with persons who can help prevent the threat. Testimonials. We display personal testimonials of satisfied customers on our site in addition to other endorsements. With your consent we may post your testimonial along with your name. Military. If you are in the U.S. or foreign armed services, TelaCare Health Solutions, LLC may share your PHI as required by the proper military authorities. Workers' Compensation. TelaCare Health Solutions, LLC may share your PHI for workers' compensation or programs like it. TelaCare Health Solutions, LLC may do this to the extent required by law. Public Health Risks. TelaCare Health Solutions, LLC may share your PHI for public health activities, as required by federal, state or local law. to tell the proper government department if TelaCare Health Solutions, LLC believes a patient has been the victim of abuse, neglect or domestic violence. TelaCare Health Solutions, LLC will only share this information when ordered or required by law. De-identified Information. TelaCare Health Solutions, LLC may use, disclose, and request PHI if the Health Information to be used or disclosed is de-identified pursuant to the procedures set forth in 45 CFR 145.514(a)-(c). Health Oversight Activities and Registries. TelaCare Health Solutions, LLC may share your PHI with government agencies that oversee health care. TelaCare Health Solutions, LLC may do so for activities approved by law. These activities include, but are not limited to, audits, investigations, inspections and licensure surveys. The government uses these activities to monitor the health care system. It also monitors the outbreak of disease, government programs, compliance with civil rights laws, and patient outcomes. TelaCare Health Solutions, LLC may share PHI with government registries, if required. Lawsuits and Disputes. If you are in a lawsuit or a dispute, TelaCare Health Solutions, LLC may share your PHI in response to a court order, legal demand or other lawful process. Decedents. TelaCare Health Solutions, LLC may, under limited circumstances, disclose your PHI to coroners, medical examiners, funeral directors for the purposes of identification, determining the cause of death and fulfilling duties relating to decedents. National Security. TelaCare Health Solutions, LLC may share, if required, your PHI with the proper federal officials for national security reasons. The importance of security for all personal information including, but not limited to, PHI associated with you is of utmost concern to us. 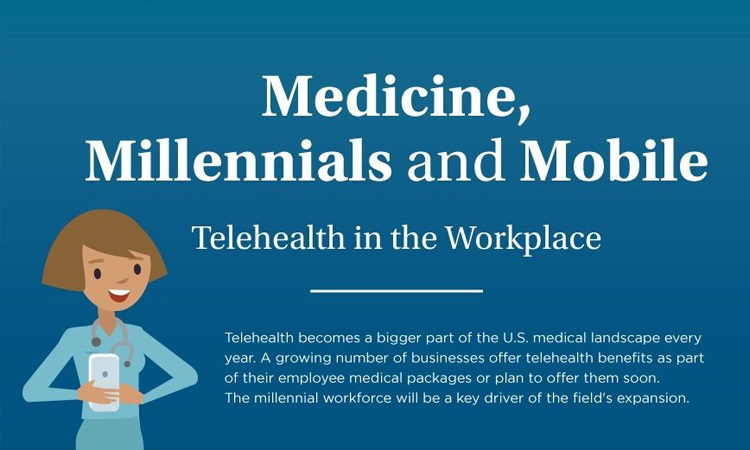 At TelaCare Health Solutions, LLC, we exercise state of the art care in providing secure transmission of your information from your PC or mobile device to our servers. PHI collected by our web site is stored in secure operation environments that are not available or accessible to the public. Only those employees who need access to your information in order to do their jobs are allowed access, each having signed confidentiality agreements. Any employee who violates our privacy or security policies is subject to disciplinary action, including possible termination and civil and/or criminal prosecution. TelaCare Health Solutions, LLC Medical Group is the sole owner of the information collected on its site. TelaCare Health Solutions, LLC Medical Group will not sell, share or lease this information to others. TelaCare Health Solutions, LLC does not sell any customer lists, e-mail addresses, cookies or other data without your written authorization. Passwords. To provide you with an increased level of security, online access to your PHI is protected with a password you select. We strongly recommend that you do not disclose your password to anyone. TelaCare Health Solutions, LLC will never ask you for your password in any unsolicited communication (including unsolicited correspondence such as letters, phone calls, or E-mail messages). Information. Since any entered information you provide to us on our website will be transmitted using a secure connection, if your web browser cannot support this level of security, you will not be able to order products through our website. The most recent versions of Safari, Netscape Navigator, Microsoft Internet Explorer and Firefox can support a secure connection and can be downloaded for free from their respective websites. No data transmission over the Internet can be guaranteed to be 100% secure. While we strive to protect your PHI from unauthorized access, use or disclosure, TelaCare Health Solutions, LLC cannot ensure or warrant the security of any information you transmit to us on our web site. We are required by law to make sure that PHI that identifies you is kept private, give you this Notice of our legal duties and privacy practices concerning your PHI, and follow the terms of this Notice currently in effect. Right To Inspect and To Receive Copies. You have the right to view and receive copies of the PHI used to make decisions about your care, provided you submit your request in writing. Usually, this includes medical and billing records. It does not include some records such as psychotherapy notes. TelaCare Health Solutions, LLC may deny your request to view and/or copy your PHI in limited circumstances. If your request is denied, TelaCare Health Solutions, LLC will inform you of the reason of the denial and you have the right to request a review of the denial. 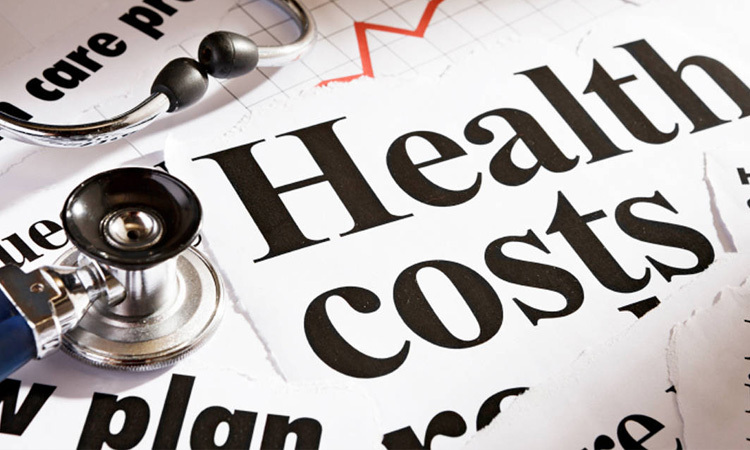 TelaCare Health Solutions, LLC may charge a fee for the costs of processing your request. Contact Customer Service for more information at 1-800-317-0280.
is not part of the information which you are permitted to inspect and to receive a copy; or is accurate and complete. Right To an Accounting of Disclosures. You have the right to get a list of the disclosures TelaCare Health Solutions, LLC has made of your PHI. This list will not include all disclosures that TelaCare Health Solutions, LLC made. For example, this list will not include disclosures that TelaCare Health Solutions, LLC made for treatment, payment or health care operations. It will not include disclosures made before June1, 2007, or disclosures you specifically approved. To ask for this list, you must submit your request in writing on the approved form. The form will be provided to you upon request. Right To Request Confidential Communications. You have the right to request confidential communications of your PHI or medical matters. You may request that TelaCare Health Solutions, LLC communicate with you through specific means or at a specific location. You must make your request in writing on a form that will be provided to you upon request. TelaCare Health Solutions, LLC will fulfill all reasonable requests. Right To a Paper Copy of This Notice. You may ask TelaCare Health Solutions, LLC to give you a written copy of this Notice at any time. Even if you have agreed to get this Notice electronically, you still have a right to a paper copy of this Notice. TelaCare Health Solutions, LLC is constantly innovating and implementing new features as part of its Services. As a result, our privacy practices may change. We may revise this Notice to reflect any changes in our privacy practices. We reserve the right to make the revised Notice effective for PHI we already have about you. It also will be effective for any information we receive in the future. We will post a current version of the Notice on this Site prior to the change becoming effective, as well as in the places where you receive the Services. The effective date of this Notice is on the first page, in the top, right-hand corner. If we make any material changes we will notify you by email (sent to the e-mail address specified in your account) or by means of a notice on this Site prior to the change becoming effective. You can choose to sign in to our site using sign-in services such as an Open ID provider. These services will authenticate your identity and provide you the option to share certain personal information with us such as your name and email address to pre-populate our sign up form. Services like an Open ID provider give you the option to post information about your activities on this Web site to your profile page to share with others within your network. Speak to a Doctor 24/7/365 Anytime, Anywhere. At TelaCare Health Solutions, LLC, our goal is simple. We believe that doctors seeing patients online and by phone is the only way to help make healthcare work today. We provide members with 24/7/365 access to a national network of U.S. board-certified physicians who can resolve many minor medical issues via phone or online video consultations anytime, anywhere. Could telehealth be the answer to the rural hospital crisis? Copyright © 2018 TelaCare Health Solutions, LLC. All Rights Reserved. 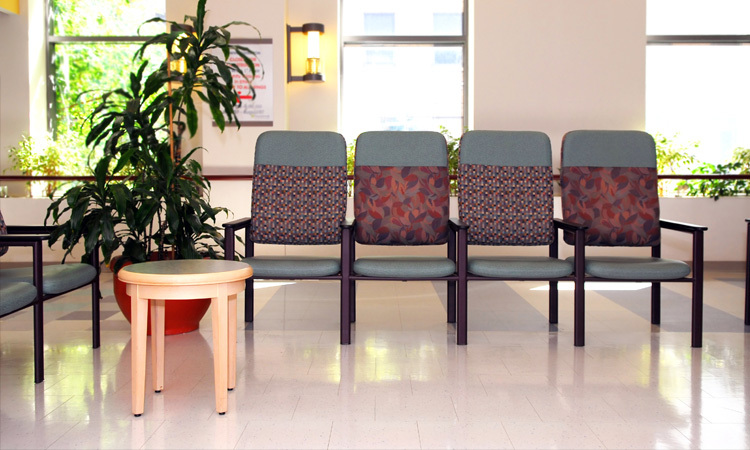 TelaCare Medical Group, PA is an independent entity. All Rights Reserved. Prices and offers are subject to change without notice. Designated brands and trademarks are the property of their respective owners. Photographs and illustrations as well as text cannot be used without written permission from TelaCare Health Solutions, LLC. Use of the TelaCare Health Solutions, LLC website, products and or services constitutes acceptance of our disclaimers. * Consult fee amounts vary. Check with your benefits or insurance provider to see if telehealth consults are covered.